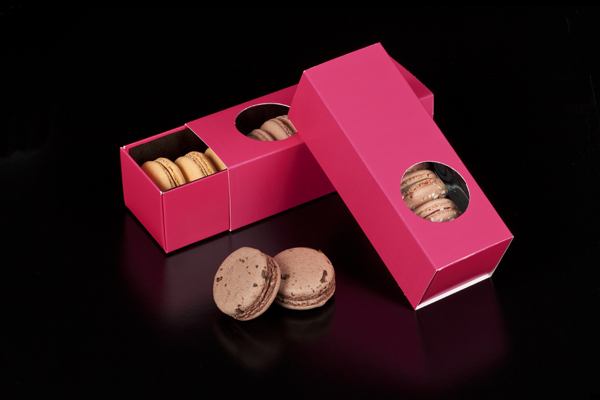 A blush box is bold in its brilliance, but what is a macaron box without the macarons? 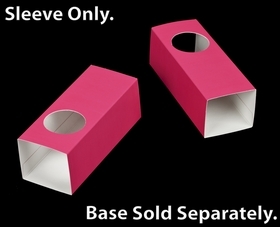 Let the pink of this miniature cupcake box or macaron box sleeve solicit the attention of your cookie customers while at the same time allowing your macarons or cakes speak for themselves. Allowing a patron to sneak a peek of your poshly packaged sweets further extends the invitation to sample what waits inside. 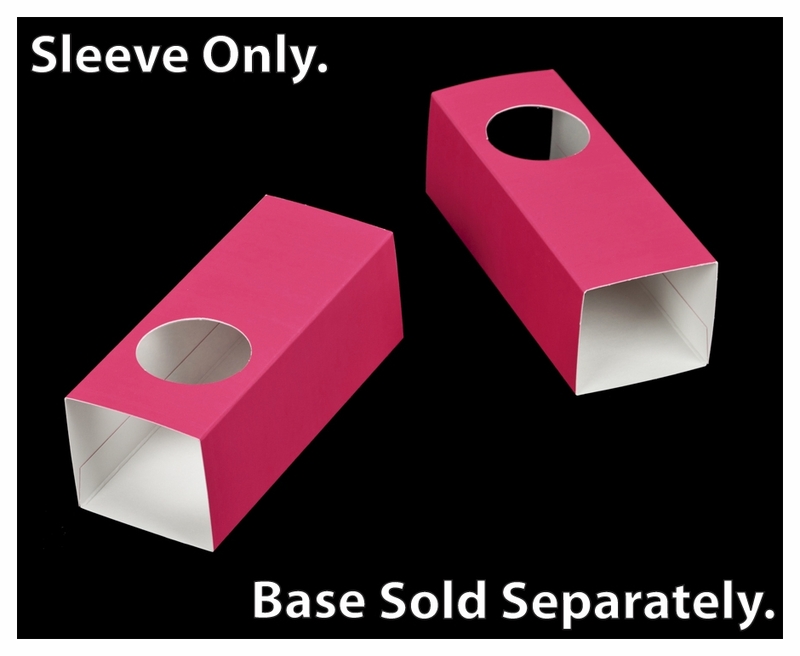 Couple this flush windowed sleeve with a different base to make things even more interesting.